Zoos Victoria boasts three world-class zoos under its banner – Melbourne Zoo, Healesville Sanctuary and Werribee Open Range Zoo; collectively, one of Australia’s most beloved and visited attractions. Prior to 2012, however, the business suffered low brand recognition, erratic customer engagement, and poor membership uptake. 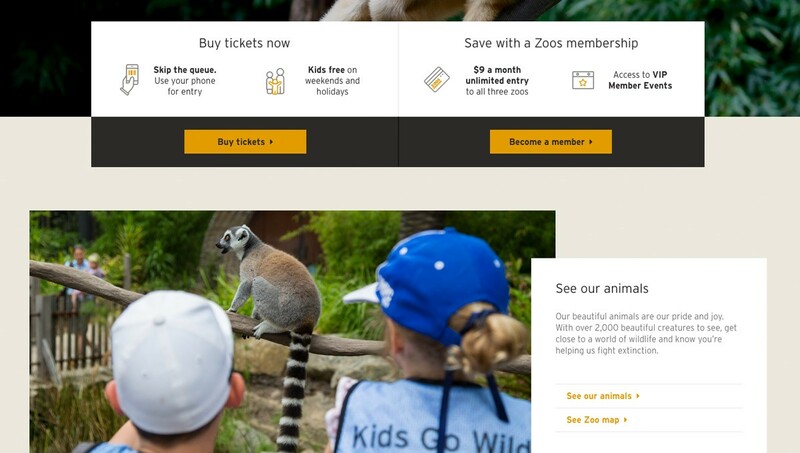 Zoos Victoria engaged Monkii to develop and implement a ground-up digital transformation. 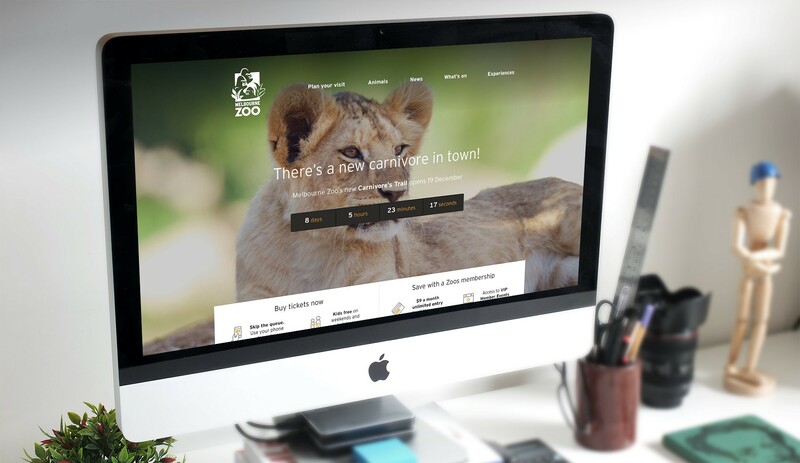 Our task: to become custodians of the zoo’s wide-ranging digital activity and leverage their digital assets to turn all three zoos into a thriving tourism ecosystem. 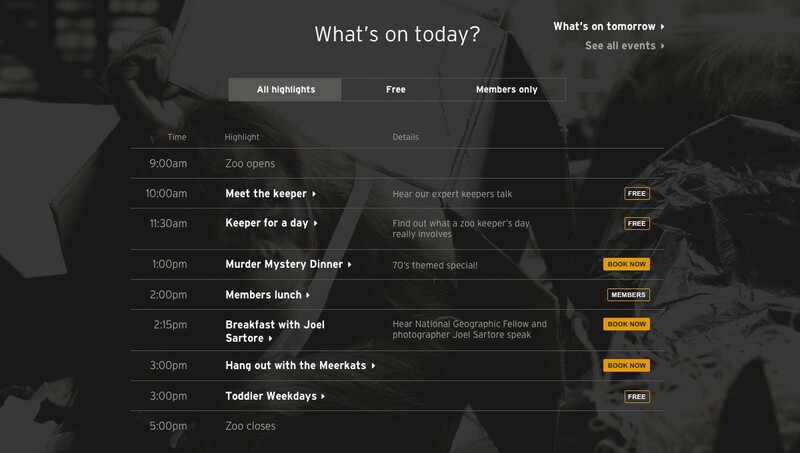 Monkii wrangled a diverse set of requirements: balancing conservation messaging with revenue raising activities; managing multiple locations and brands; the seamless integration of membership, ticketing, and retail, and; the need to remain relevant in the face of changing attitudes towards zoos. Web, apps and social media all had to play a role, and function harmoniously. And a smooth and reliable end product had to satisfy a wide range of stakeholders and end users – all while boosting revenue. 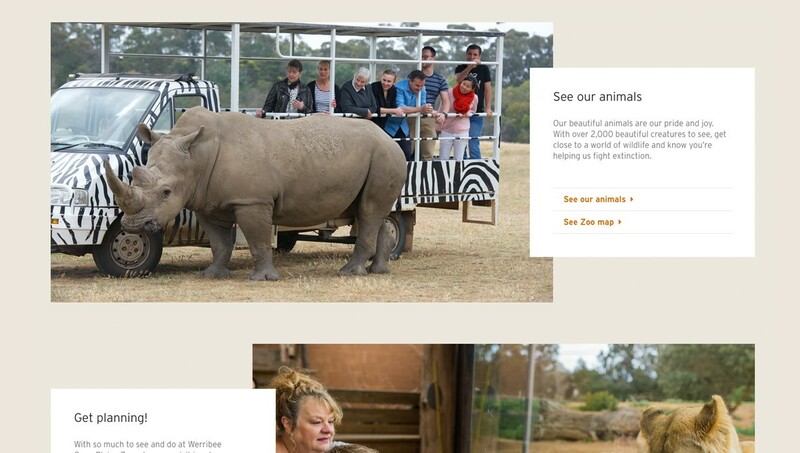 Steered by Monkii’s UX strategy and powered by Drupal CMS, every aspect of Zoos Victoria’s activity now benefits from more effective and targeted communication – and the resultant increase in revenue. In particular, our solution to their membership woes took a glitchy online system that drained time and resources and developed a streamlined user experience that increased engagement and retention and improved sales dramatically – by 223% in the first month alone. This overall success of our initiatives has helped forge a lasting partnership between Monkii and Zoos Victoria, during which we’ve enlivened six major digital projects in five years.